Welcome and thanks for visiting. HEARSTUDIOS represents a new standard for professional recording and audio / music production services in the northern New England region. Located in the rustic coastal harbor community of Camden Village, Maine (approx. 85 miles north of Portland), HEARSTUDIOS was constructed in a reconditioned 19th century grain barn, and provides a comfortable, relaxed, spacious environment for your projects. 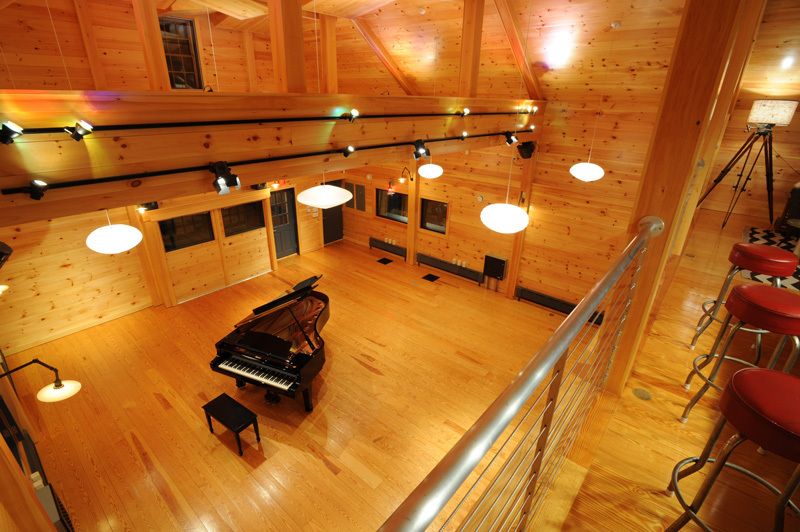 Bringing together state-of-the-art recording equipment, one of the largest natural sonic spaces in New England (24,000 c.f. 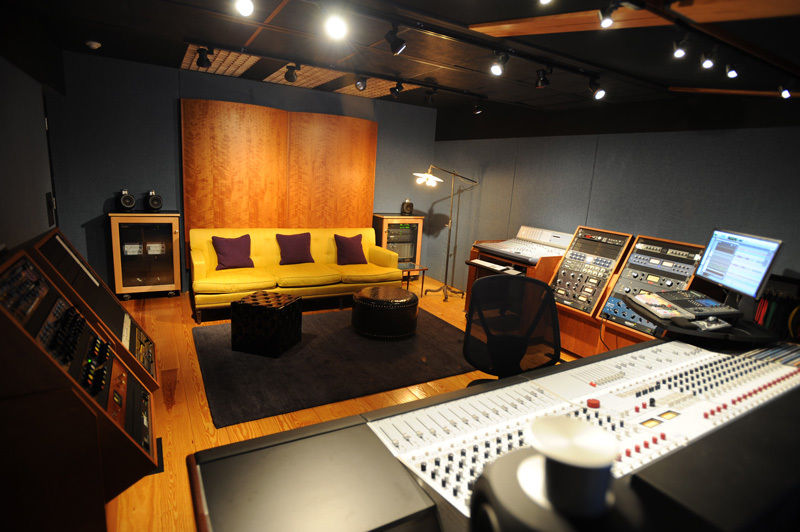 live room), an extensive keyboard and instrument selection (including a pristine 7’ 6” Yamaha C7 Concert Grand Piano, vintage Hammond B3, Rhodes 88, classic amps, guitars, pedals and more), HEARSTUDIOS rivals the amenities only found in noteworthy urban-located studios. Along with access to expert musicians and experienced creative resources, the facility is managed by highly skilled engineers and producers, set in an incredibly beautiful and historic seaside environment with every imaginable accommodation and amenity a client could hope for. HEARSTUDIOS welcomes any type of project format, including those using independent engineers and producers. Come in for a complete production, or just use HEARSTUDIOS to track your tunes using our world-renown Rupert Neve 5088 console, superior mic array and top-quality mic pre-amps, loaded Mac Pro and most current version of ProTools. Or, bring your previously tracked project in to mix on the Neve, and take advantage of a robust selection of premier outboard gear and hundreds of the most current plug-ins. And of course, our sonically exquisite soft reflective live room is the perfect environment to track a huge natural drum sound or access some sweet ambiance to enhance the sound of our Yamaha C7 Concert Grand Piano. And with three iso booths and two re-amp iso spaces, managing your live sound with multiple instruments and voices has never been easier or more efficient. Need to compose, produce or sound design using synths, software and computer? Check out the extensive list of our vintage and modern electronica and related hardware. Our MIDI workstation is portable too (although some prefer the piano), so you can compose and record remotely from the live room or iso rooms, using the portable Avid D-Command surface to control the show. Engineers or producers seeking to run certain types of sessions directly from the live room or an iso booth will also find this logistical option helpful. 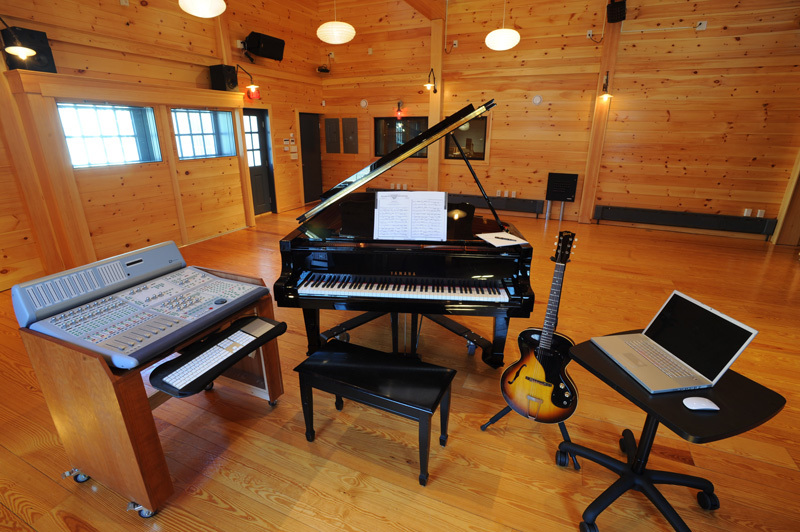 Whether it’s a solo guitarist singer / songwriter or pianist, a thirty-piece classical ensemble, a traditional bluegrass band, a modern jazz group, any style of rock, R&B, funk, fusion or techno-type style, spoken word or film / video project, HEARSTUDIOS is committed to bringing your project to life with the highest degree of creative assistance, stylistic authenticity and unsurpassed audio excellence. Along with reading about our facility, the vast selection of images in the photo galleries is particularly enlightening, illustrating every aspect of the studio’s designs and functions. Informative “one-sheet” PDFs of gear, instruments, services accommodations and amenities lists are available for downloading throughout the site. And please feel free to sign up for our newsletter to receive site updates, studio news, promotions, special events / clinic / live streaming program info and much more. “Like” us on Face Book too, for frequent updates, news, promotional offerings and a window into the daily happenings at our facility. Contact Business Manager / Creative Consultant Bob Thompson at any time if you have questions, would like to set up a tour, inquire about rates, discuss creative issues, come in as an outside engineer or producer, book a recording project or other service, or ask about regional accommodations and amenities. We hope you enjoy the website, and look forward to helping you define and achieve your project’s true potential.